The Wensleydale Garden Centre is the pride and joy (and daily challenge) of married couple Trevor and Ruth Hawkes. Looking for a lifestyle change in our beloved Yorkshire Dales, we took over the business in August 2015. We quickly made significant changes, completely redesigning the outside area to enable us to prioritise plant quality and care. We also gave the interior a make-over, introducing flexible display areas to showcase seasonal product ranges. The Garden Centre has gone from strength to strength, steadily gaining a loyal and appreciative customer base and we have been thrilled with the extremely positive feedback. Also proving popular are handcrafted obelisks, plant supports, garden furniture and planters, all by Tom Chambers of Goole and a quirky range of chainsaw animal sculptures from Teesdale. 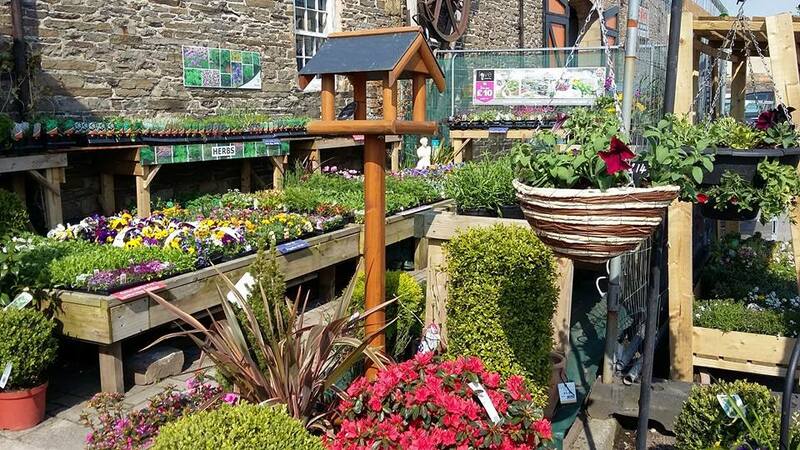 The outside area is crammed with seasonal bedding plants, alpines, perennials, shrubs, trees, herbs, fruit and vegetables and there are always some tempting 'multibuy' deals on offer. We source our plants locally wherever possible, to give them the best chance of success in the North of England climate. You will also find garden furniture and ornaments, a comprehensive range of tools, chemicals and accessories and a fabulous selection of pots and planters. Ours is a proper ‘Garden’ Centre – a refreshingly traditional alternative to the huge department-store-style retail destinations which the larger Garden Centres have become. We aim to offer a friendly personalised service to locals and visitors alike. The Garden Centre occupies a fabulous quirky building, formerly goods shed, adjacent to the historic Railway Station and benefits from on-the-spot parking. We are conveniently located a few minutes’ walk from the centre of the beautiful market town of Leyburn, gateway to gorgeous Wensleydale. You are sure to enjoy your visit, to appreciate the warm welcome and, of course, to find something to enhance your outside space!